Wireless sensors are measurement tools having transmitters that transform signals from process control instruments into a radio transmission. The radio signal is decoded by a receiver that transforms the wireless signal to the required particular output, such as an analog current or data analysis through computer software. Wireless sensors are typically self-powered and self-configuring. They are leveraged to gather environmental data and carry out actuation tasks accurately and effectively. For example, in industrial street lighting, wireless sensors are placed on lamp posts or lighting points to regulate the lighting and draw information on diagnostics, operations, and failures. Wireless sensors not just enhance industrial street lighting but also brings down the consumption of power. As a result, the demand for intelligent lighting solutions is likely to receive a boost with the growing adoption of wireless sensors. When combined with cloud computing and big data processing, wireless sensors present the possibility of achieving easy human-system interaction. However, uncertainty over the reliability of wireless systems and costly wireless technology are serving as roadblocks to the market. The market for wireless sensors for industrial street lighting is still in a nascent stage and hence the technology is primarily limited to developed nations in North America and Western Europe. Asia Pacific, however, is a highly attractive market powered by the comparatively advanced nations of Australia, Japan, China, and South Korea. Most of the vendors in the market are concentrated in Japan, North America, and South Korea. Overall, the market is characterized by stiff competition and no vendor is decidedly a market leader. Wireless sensors are self-powered and self-configuring sensors used to sense environmental data and perform actuation functions efficiently and accurately. In industrial street lighting applications, wireless sensors are fixed on to lamp posts or lighting points in order to regulate the lighting and gain information on aspects such as diagnostics, operations, and failures. The use of wireless sensors not only enhances industrial street lighting but also curbs the consumption of power. As a result, the demand for intelligent lighting solutions is likely to receive a boost with the growing adoption of wireless sensors. When combined with cloud computing and big data processing, wireless sensors presents the possibility of achieving easy human-system interaction. However, uncertainty over the reliability of wireless systems and the high cost of wireless technology are the major challenges this market currently faces. The report on the global market for wireless sensors for industrial street lighting applications has been prepared after thorough research and collection of data from primary and secondary sources. The latest industry tools have been deployed to assess this information and draw conclusions from it. 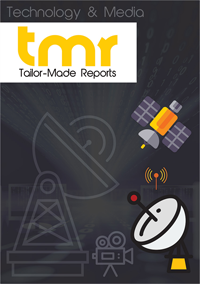 The Porter’s Five Forces model, SWOT analysis, market attractiveness, value chain analysis, and feasibility studies are some of the tools used by analyst to give readers a 360-degree overview of the wireless sensors market for industrial street lighting applications. The prominent factors driving and hampering the market have been discussed at length, along with sharp insights on the leading geographical and product segments. A dedicated section on the vendor landscape sheds light on the most prominent players in the wireless sensors market for industrial street lighting applications. Their recent developments, business strategies, product portfolio, geographical expansion activities, and financial standing have been scrutinized to give clients a clear understanding of their competition. The wireless sensors market for industrial street lighting applications can be segmented on the basis of type and geography. On the basis of types, the three major categories are MEMS-based sensors, which include pressure sensors, accelerometers, and acoustic sensors; CMOS-based sensors, which include humidity sensors, temperature sensors, and proximity sensors; and LED sensors, such as ambient light sensing. The market for wireless sensors for industrial street lighting applications is geographically fragmented into North America, Asia Pacific, Europe, and the Rest of World (RoW). Owing to the fact that the market is still in its infancy stage, the technology is primarily limited to developed regions such as North America and Western Europe. Asia Pacific is an immensely promising market for wireless sensors, especially in relatively developed countries such as Japan, China, Australia, and South Korea. American Sensor Technologies, Inc., (U.S.), Avir Sensors, (U.S.), YSI Incorporated, (U.S.), Coastal Environmental Systems, Inc., (U.S.), Measurement Specialties Inc., (U.S.), STMicroelectronics N.V., (Switzerland), MEMSIC Inc., (U.S.), Sutron Corporation, (U.S.), Meridian Environmental Technology, Inc., (U.S.), E.S.I. Environmental Sensors Inc., (Canada), and ASM Automation Sensornik Messtechnik GmbH, (Germany) are some of the leading players operating in the market for wireless sensors for industrial street lighting applications. It has been observed that most of the vendors are headquartered in North America, Japan, and South Korea. Moreover, since there is no clear leader in the market for wireless sensors for industrial street lighting applications, the degree of competition is extremely high.